In this installment of my Adventures in Asia series, we’re exploring the Red Fort, built on the order of Shah Jahan — better known as the emperor who built the Taj Mahal. The fort was built during the heyday of the Mughal Empire, a Muslim empire that controlled much of India from the 16th to early 19th centuries. They built a lot of forts, palaces, and tombs that still stand today, even though Muslims have been reduced to a minority in present-day India. If you go, rent an audioguide — it will not only walk you through the various structures in the fort but also give you a good overview of the history. The Red Fort, or Lal Qila, overlooks the Yamuna River. 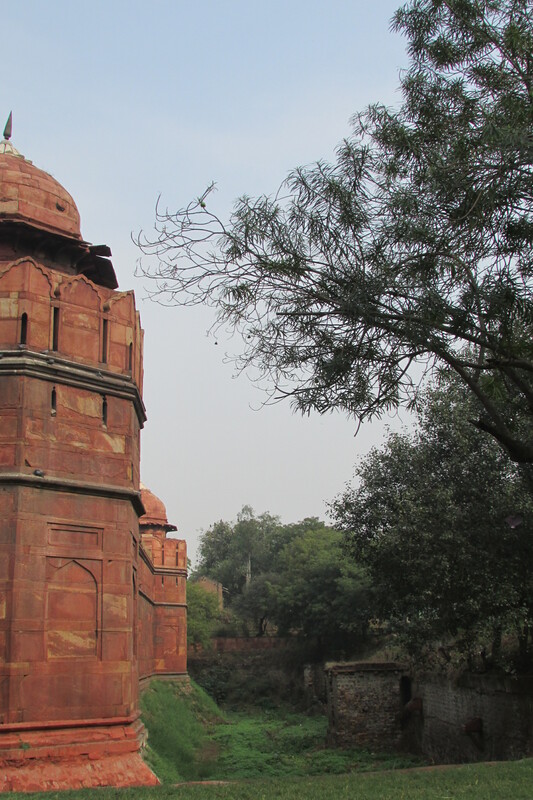 Its imposing red sandstone walls are enclosed by a moat (now dry). Once you make your way through the series of massive gates, you’ll see that the complex wasn’t just a fort, but also a palace. 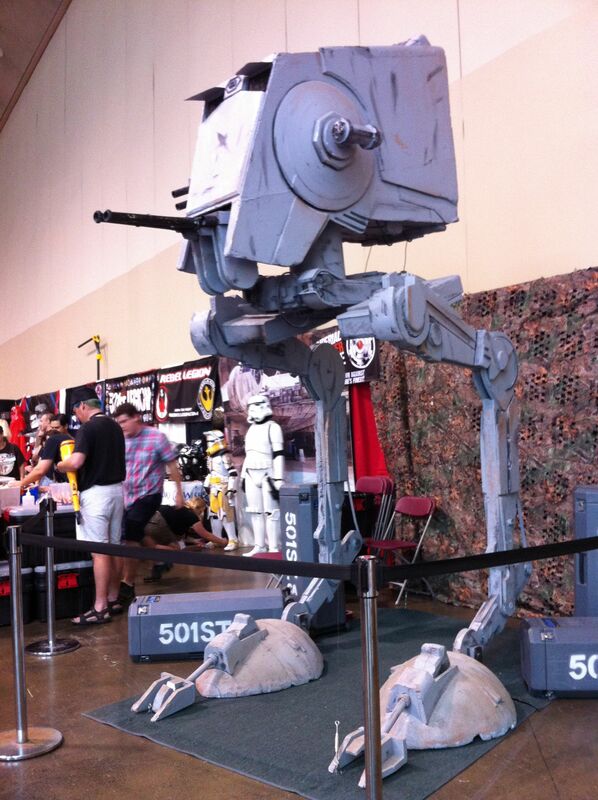 A model of an AT-AT from Star Wars. 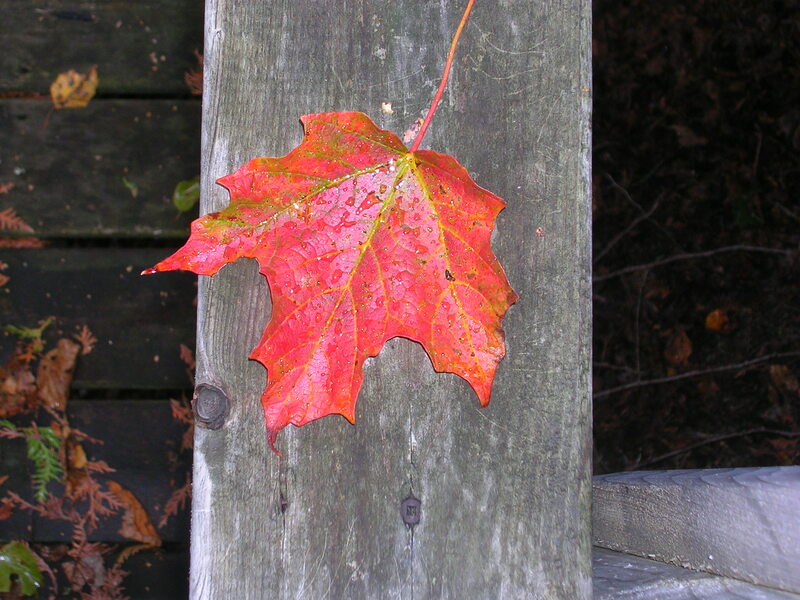 Photo by Louise Kiner. This weekend I took in my second Fan Expo — for those of you not in Toronto, think a smaller version of San Diego Comic-Con. I went only on Sunday, so I missed the biggest day (Saturday) but also got to skip the worst of the crowds, and there was still plenty to see. I’ve been putting out inspirational posts like 10 Ways to Follow Your Passion Without Quitting Your Day Job and After the Vacation: A Conversation with the Inner Critic. But the truth is, my baby writing career is stalled like you wouldn’t believe. I get home from work and the last thing I want to do is write or edit…even though I’ve been dreaming all day about how productive I’ll be when I get home. So I chat with my family, putter around on the Internet, and maybe squeeze out half an hour some nights, an hour if I’m lucky. Too many nights I get nothing done at all. I’m not a morning person, so I don’t write before work, and lunch hours disappear awfully fast. Now, it’s true that I’ve had a busy and distracting couple of years. I bought my first house, went through another major life event that was all-consuming for months, and planned and executed a massive trip. But all those things are finished and I’ve been back at work for a month and a half now, long enough to have gotten over the hump and back into the groove. Except…I struggled with these same problems before all the distracting stuff happened. It’s no surprise that they’re back. I’m tired of not writing. Of taking weeks to edit a chapter because I’m only devoting a handful of hours a week to the thing I want to do most in all the world. (Don’t I?) Of still not having even one edited, polished novel ready to go out on submission, or out on Amazon, or out into the world somehow. I feel like a poser. A master of self-sabotage. A wannabe doomed to failure because I don’t want my dream enough to work for it. Your turn! Am I the only one who feels this way? 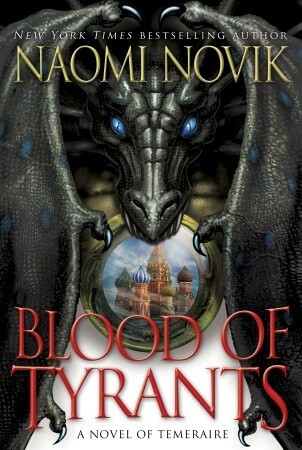 Last week saw the release of the latest book in Naomi Novik’s Temeraire series, Blood of Tyrants. (If you’re not familiar with Temeraire, here it is in a nutshell: Napoleonic Wars with dragons.) To celebrate, I’m devoting this “If you liked…” post to Naomi Novik. The dragons. I will assume you’ve read Anne McCaffrey. (If not, get thee to a bookstore immediately and look for Dragonflight!) Havemercy by Jaida Jones and Danielle Bennett does something a bit different — their dragons are clockwork, in an alternate Russia, bordering an alternate China. On my TBR list are Tooth and Claw by Jo Walton and Dragon’s Keep (YA) by Janet Lee Carey. The Regency setting. Mairelon the Magician and Magician’s Ward by Patricia C. Wrede are fabulous. A teenaged street urchin meets a street magician who’s more than what he seems. Shenanigans ensue. (YA, but don’t let that stop you!) On my TBR list: Shades of Milk and Honey by Mary Robinette Kowal. The social graces (but not necessarily the Regency part). The Fox Woman by Kij Johnson is set in ancient Japan, a time and place as strongly bound by etiquette as Regency England. Melusine by Sarah Monette is a secondary-world story, but it’s still largely about court graces and politics. I believe Tooth and Claw qualifies here as well, along with Swordspoint by Ellen Kushner. The ships. I’ve seen the Temeraire books described as owing much to the Aubrey/Maturin series by Patrick O’Brian, but somehow I missed reading these…odd, given my childhood love of books about the sea and Arthur Ransome in particular. On to my TBR list they go…. The human-animal bond. Temeraire is highly intelligent, but he doesn’t think like a human. Still, the bond between him and Laurence is one of my favourite things about these books. For a bond where the animals are much more animal-like, I’ll put in another plug for A Companion to Wolves by Sarah Monette (yes, again) and Elizabeth Bear. Your turn! What can you recommend for people who enjoyed Temeraire? If you liked this post, you might also enjoy If You Liked… A Game of Thrones and If You Liked… Neil Gaiman.